Live Video and Real Time ENGAGEMENT OPPORTUNITY for your NEXT EVENT! For social media marketers, keeping content fresh and engaging is a daily challenge. You want to reach potential customers and your existing base, and at the same time reinforce your brand and cement your place in the market. Luckily you can accomplish these objectives by taking advantage of the hottest trend in social media—live streaming. According to PR Newswire, the video streaming market is expected to grow to more than $70 billion by 2021. Many factors are driving this astronomical growth. Study after study has backed up claims that live video works. Viewers watch live videos longer, remember what they see, and are more likely to engage with the content.Add to that the many affordable options that the novice streamer can use successfully, and you have the recipe for success. 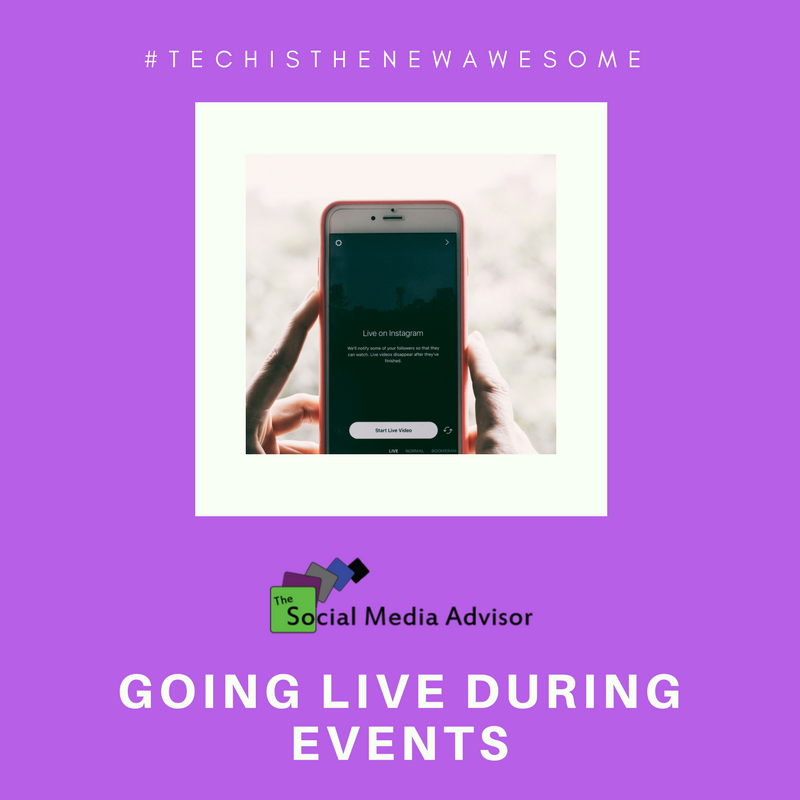 There are many ways to utilize live streaming but one of the most popular, and a good place to start, is live streaming an event. One of the biggest advantages of event streaming is that you are extending the reach of your program. Whether you are hosting a conference, sponsoring a gala, or presenting an informational speech, you can utilize live streaming to broaden your audience and turn your program from a one-shot event into evergreen content. Select a platform: Facebook Live, YouTube Live, Instagram Live, and Twitter’s Periscope are names that are probably familiar to you. These aren’t the only platforms, but they are the big ones. You’ll need to select which is right for your particular purpose and then make sure that you are signed up and ready to go. Develop a plan: Like all marketing activities, live streaming works best when you have a strategy. How will you approach the stream? Will you have one camera and then let it run or will you be moving from place to place? Be sure to incorporate how you will respond if things don’t go as expected. Practice: You’re all set up with a platform, you’ve got your equipment ready, and you know what you want to stream. Do a run through (or four) to make sure you are ready when it’s game time. Go: You’ve reached the big day. Hit the button and go. While you’re at it, have fun! Remember to save what you’re broadcasting. Repackage: The event went well and you accomplished your live stream. You can now go back and decide what you can reuse. Perhaps it’s a single speech that can be rebroadcast, maybe you rerun the entire event or just use snippets, or you use a combination of all three. The goal is to make the most of what you have. So now you are ready to go live with an event. Once you’ve tried it, you are sure to want to do it again. It’s the perfect way to increase and engage your audience while maximizing your resources. Not comfortable in front of the camera or plan to have your hands full during your event, contact The Social Media Advisor team to come in and showcase your event live on social media. If you’ve been watching the trends in digital marketing, then you won’t be surprised to hear that video currently makes up 74% of all web traffic. Just look at your own social media feeds and you’ll see lots of videos as you scroll through. And if you look closely, you’ll notice that they’re not just ads. There are videos of news stories, self-help information, humor and a variety of other content. There’s a good reason for all that video: it works! It’s engaging, has been proven to make the message easier to remember, and those who see it tend to stick with the content longer. Forbes reports that by 2019 video will claim more than 80% of all web traffic. Video traffic is high across all platforms – video views on phones and tablets now account for about half of all traffic. As video has become more popular, more platforms are making it available to their users. Facebook Live, Twitter’s Periscope, Instagram, YouTube, and Snapchat all provide easy ways to share video. And you don’t have to spend a fortune to produce it. Smartphones have made it easy for anyone to produce high quality live streaming experiences for their social media feeds. If you haven’t been using video as part of your marketing strategy yet, you might be wondering how to make it work for your company. Let’s say your tech support or customer service lines have a question that is frequently asked. A live how-to session that explains the problem can give your customers the chance to learn more about the product and interact with your experts. 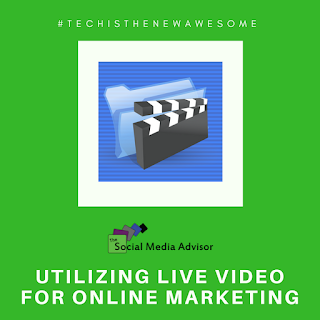 Other ways to engage your audience include live streaming events that you sponsor, a “behind the scenes” look at your business, and inspirational testimonies by customers. Of course, nothing is quite as simple as it sounds. If you grab the camera and just start broadcasting without a plan, chances are you won’t get the results you’re looking for. You need to treat video like your other marketing initiatives: you need to choose the right platform for your business, craft the message you want to convey, learn about the tools and determine how you will measure success. Take a look at how others in your industry are using video. 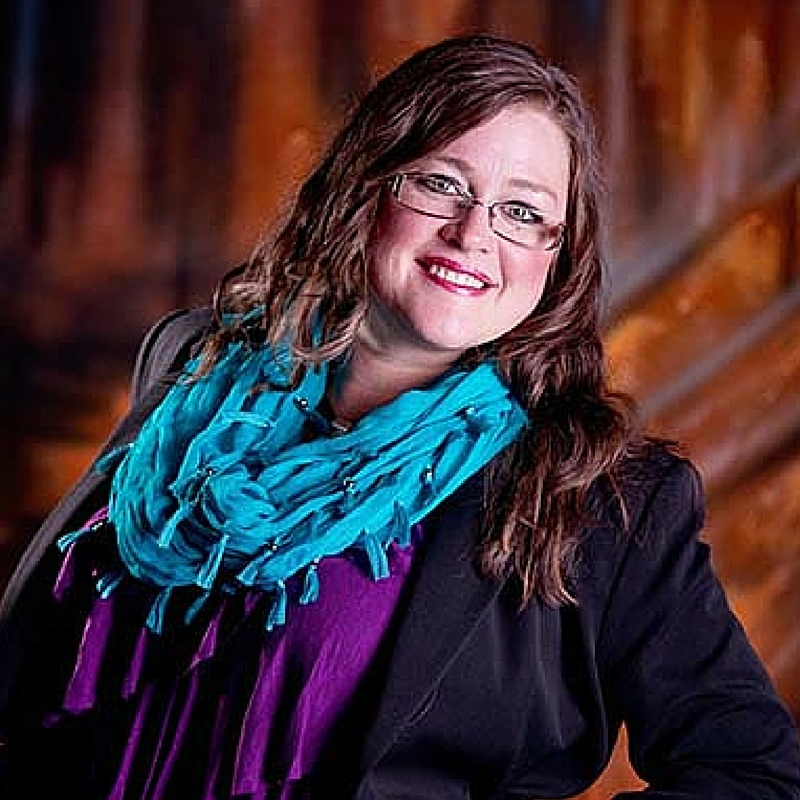 If video isn’t widely used in your industry yet, check out leaders in other industries. Buzzfeed is considered one of the best at streaming, and brands like Starbucks and Mashable incorporate live video as part of their marketing strategy. 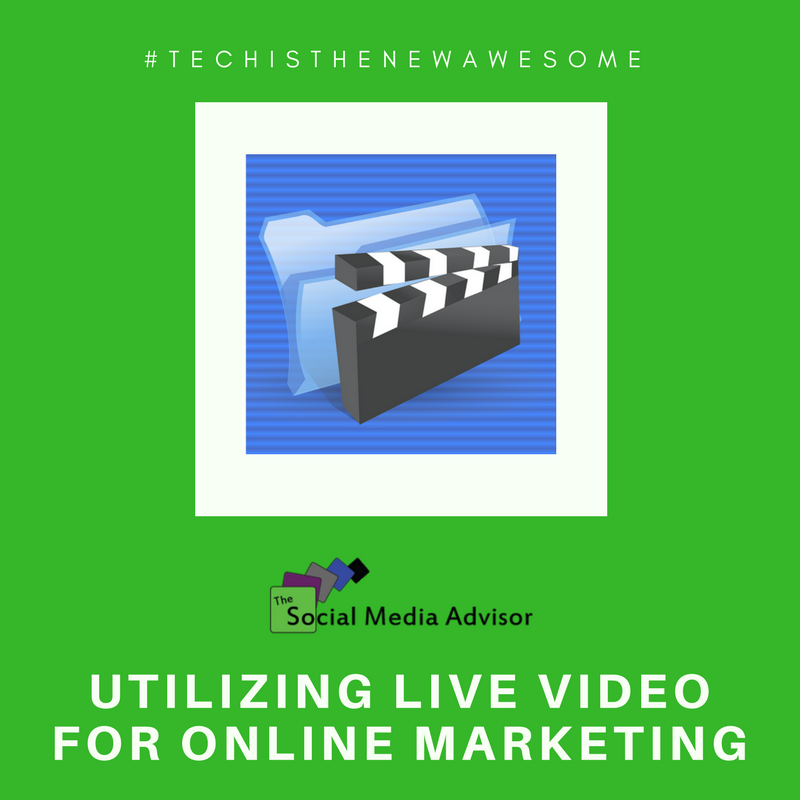 With a little homework and lots of practice, you can successfully weave live streaming video into your overall marketing strategy. Once you hit on the right formula for your business you’ll find that your customers are more engaged, your message is hitting the right points, and you may even have some fun. Live video is one my passions. If you have an event coming up and would like to get some live coverage for your social platforms, give us a shout at The Social Media Advisor! Let’s show the world how AWESOME you are. We keep talking about how video, live video in particular, has the biggest impact in social media in 2017 – and that’s just facts. 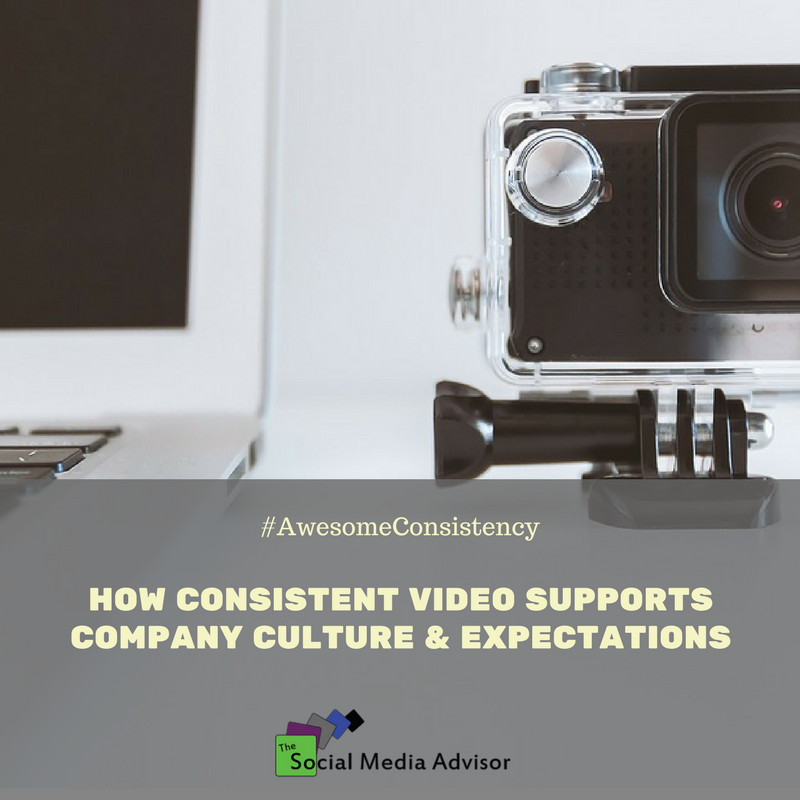 If you are planning to incorporate video into your social media or marketing strategy on a regular basis, to take advantage of the benefits of consistency, then you will need a game plan for the videos you create. Why? Because your videos will become a part of your corporate and personal branding – they will speak to your company culture and visually demonstrate your mission, vision and values to your audience. Expectations will be the ultimate result of this effort so if you do not begin with the end in mind, you could miss the mark with your video marketing. How do your marketing videos affect your overall company culture? It’s a twofold approach. First, they act as an example to your team of what your business stands for both internally and externally. They can be used to showcase the brand, boost employee morale, and leverage both recruiting and retention efforts. Not only are they a promotional tool for hiring the best talent, they build your company’s online presence in a way that sets expectations for the audience. Video is a way of demonstrating what you stand for, what you do, and how you engage with others. It establishes trust and a level of comfort, as your viewers start to feel like they know you and what you stand for. This lowers any perceived or hidden barriers between you and your followers. Know, Like, and Trust – the social marketing triad – is established by posting videos regularly. The great thing about video marketing is that you can begin with as little as a cell phone or invest in really high-quality production experts – depending on your budget and what you are looking to achieve with your content. With the rise of live video, people no longer expect an expensive end result. Often, just sitting down, speaking to your audience, and responding when they engage is all that is needed to make video worthwhile. If you don’t really understand your own branding yet – I mean backwards and forwards – then take time to fully develop your brand story before diving into video. Why? You are going to want to display those aspects of your branding that make you unique, interesting, and that differentiate you from your competition in your videos. Clear and concise content is what is needed to retain attention and audience. Do you hate being spotlighted or feel uncomfortable with the idea that it must be you on camera every week? Get creative or switch it up. Give your staff a voice by interviewing them. Highlight your products as they arrive or as you are packing them up to ship out. Show off your work space. Give viewers an insider’s perspective on how and why you do what you do. If you haven’t started creating videos for your website, email newsletters, vlogs, or social media – then now is a great time to start! Soon everyone will be doing it and it will be more difficult to #BeAwesome and get the sort of results you can get right now while this movement is fairly new. Ready to brainstorm and talk strategy? Book a discovery call with me!